Audience at Game and Fish grizzly hearing. 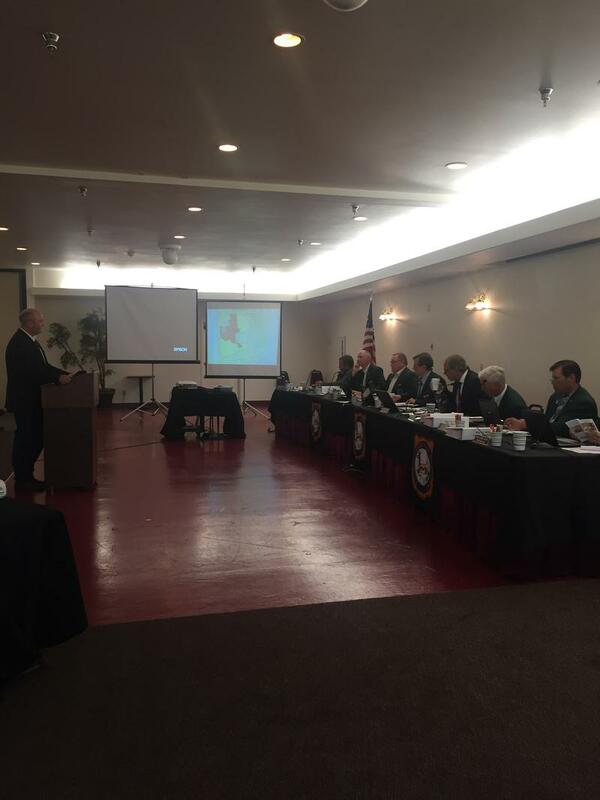 The hunting regulation passed unanimously with only minor discussion and no debate. It will allow individuals to hunt one grizzly each, up to 10 grizzlies in an area around Grand Teton and Yellowstone National Parks and 12 more in a larger area in western Wyoming. After the vote, Wyoming Game and Fish Director Scott Talbott was thrilled. Game and Fish officials have studied the growth in grizzlies for decades and have pushed hard to get the bear removed from the endangered species list. That happened in 2017. When the bear was first listed there were 136 of them in the Yellowstone ecosystem. 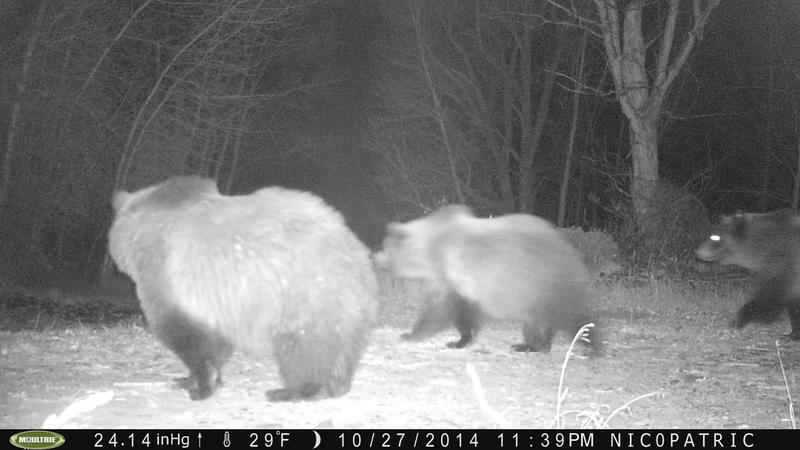 Now, Game and Fish says there are well over 700, and Talbott said the growth and expansion of Grizzlies has led to a number of conflicts, including more encounters with humans. “As the ecosystem fills with bears and you saw the map today with the extensive expansion of the distribution and the range of the grizzly bear in Wyoming, those conflicts become more and more common and more severe,” he said. Talbott added that managing, which means controlling the grizzly population, is important. Game and Fish officials say hunting is an important management tool. Others aren’t so sure. Chris Colligan is a Wildlife Coordinator with the Greater Yellowstone Coalition. He echoed the sentiments of a number of opponents who say that a Grizzly hunt roughly a year after they were removed from federal protection is too much too fast. 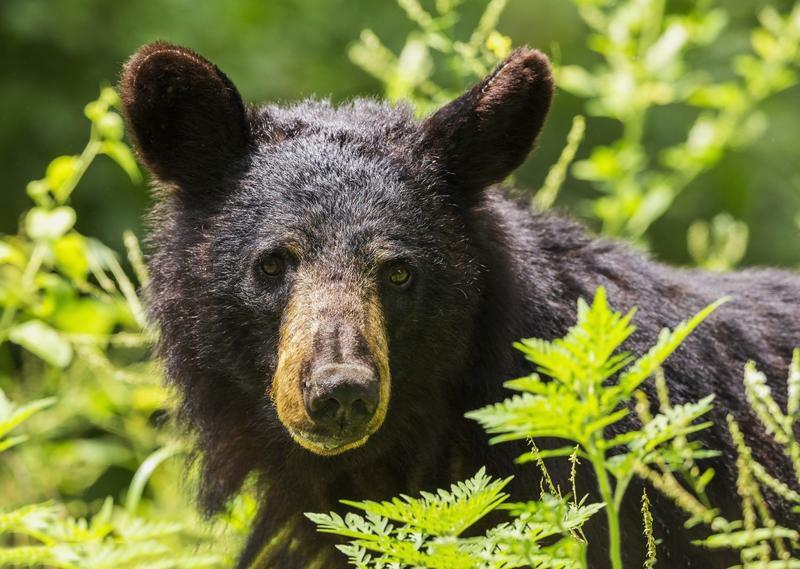 “The margin for error by killing one too many female bears potentially causes the population to decline,” said Colligan. The female bear issue is of great concern because grizzlies reproduce slowly. In fact, Game and Fish will only allow one female to be killed in the area around the national parks, and once a female is killed, the hunt in that area automatically comes to an end. The Department says it will use technology to alert hunters that they must end their hunt. Longtime Jackson wildlife photographer Tom Mangelsen said that sounds good on paper. But he is someone who’s taken pictures of grizzlies for years and Mangelsen suggests that few people can tell the difference between a male and female. Mangelsen said grizzlies are iconic and shouldn’t be hunted. Dan Thompson heads up the large carnivore section of the Wyoming Game and Fish Department. He said the idea to hunt grizzlies actually came from the public, and there continues to be a lot of support for a grizzly hunt within the state. Thompson said in his opinion, the fact that they can even consider a hunt is a success. “And we’re proud to be at a point where we have a recovered population that can sustain a harvest and I guess that’s what it boils down to. I understand philosophically why some people are for or against it, but at the end of the day the population can biologically sustain hunting,” he said. Thompson added that they are treating grizzlies the same as any other large carnivore, and that there will still be plenty of opportunities for tourists and photographers to see grizzlies. He said hunting is just part of the wildlife experience. But the Greater Yellowstone Coalition’s Chris Colligan disagrees. Licenses will be $600 for in-state residents and $6,000 dollars for out of state residents. The hunt is scheduled for September, but Game and Fish officials anticipate a number of court challenges before a hunt takes place. One of those will come from Native American tribes who say Wyoming is disrespecting the importance of Grizzlies in their culture. You may not have been to Yellowstone or the Grand Teton but you’ve probably seen photos of Bear 610 and her family. Still, the grizzly hasn’t been spotted this year and some are concerned she’s met an untimely end. With grizzlies off of the endangered species list, many scientists view grizzlies as a success story. But the question is how does the bear successfully return to a heavily populated environment? 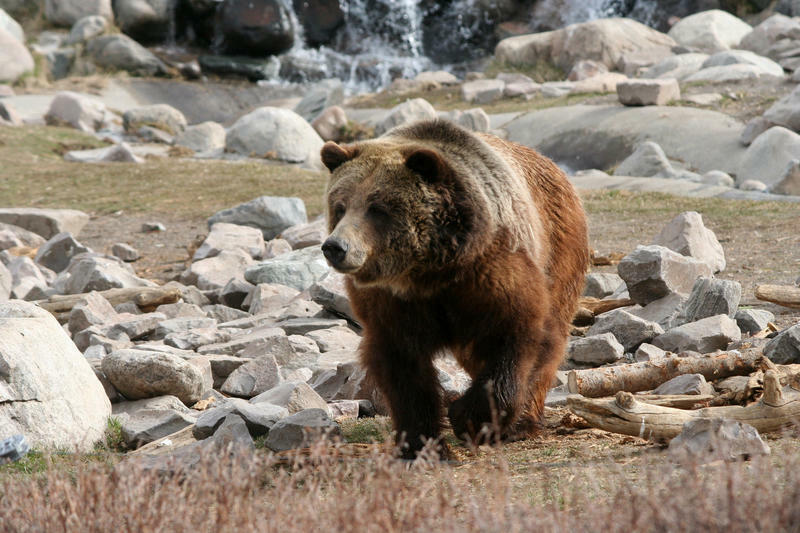 Wyoming Public Radio’s Kamila Kudelska looks at the history of grizzly management to possibly learn some lessons for how to handle grizzlies in the future. The Wyoming Game and Fish Commission unanimously voted to approve hunting regulations for Grizzly Bears on Wednesday. It would allow up to ten bears to be killed within a core management area near Yellowstone and Grand Teton National Parks and 12 more in other areas of the state. 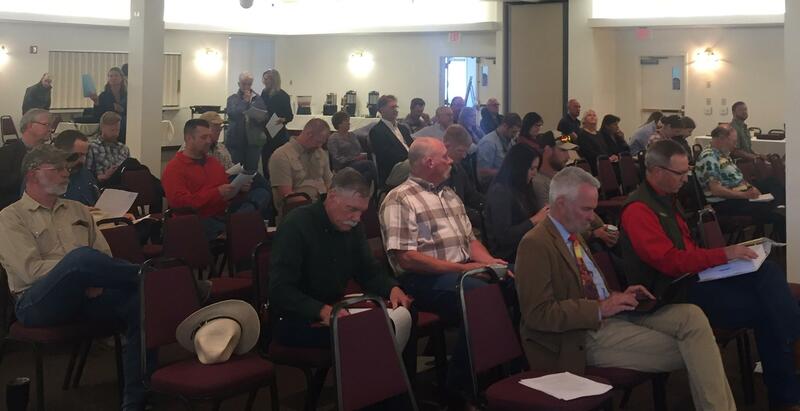 At a public meeting on Wednesday, tribal members from around the country spoke out against the decision by the Wyoming Game and Fish Department to hold a fall grizzly bear hunt. Blackfeet member Tom Rogers is with the Rocky Mountain Tribal Leaders Council. He said the federal government is required by law to consult tribes on natural resource issues that affect them, like a grizzly bear hunt.